Barrow Community Kitchen Needs You! The group formed a community kitchen at St. Matthew’s Hall on Highfield Road, and it’s been a vital source of food and friendship for many people ever since. 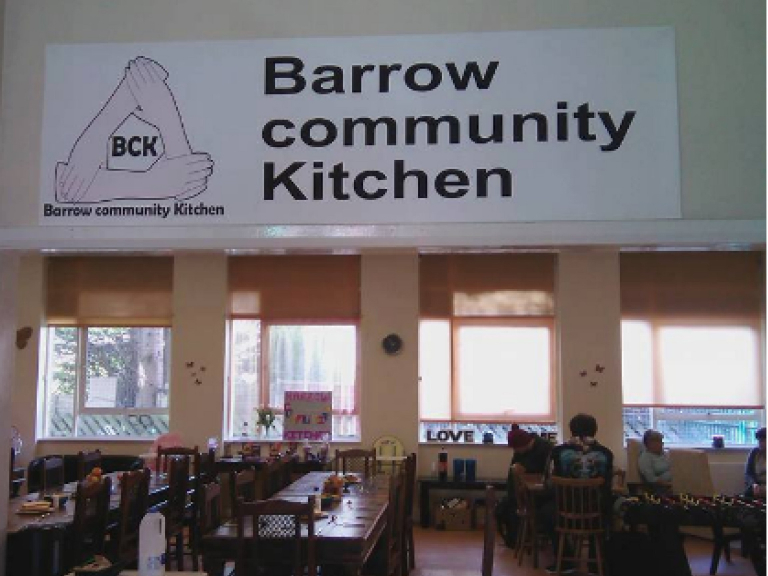 Since March this year, Barrow Community Kitchen has had a permanent base at Roosegate Community Centre. Its doors are open not just to those who are suffering from financial difficulties; it’s also available for anyone suffering from social isolation or stuck in a rut. The group has big plans for this venture, with regular classes also being held with arts and craft classes, juggling workshops, drama classes and knitting workshops all planned. Over the Summer the centre made sure that children didn’t go without a hot meal at lunchtime, by providing free lunches to local children. Naturally, in order for the kitchen to reach its full potential, it needs help from the community, and is always on the search for volunteers to help. As well as providing food, there will be regular events held by the group from table top sales to drop in sessions, all in aid of supporting the community. The staff are a great bunch of people who will always make you feel welcome and offer assistance and friendship to all.